WLC College India has been recognized as the finest professional training institute. With world class facilities and distinctive teaching methodologies, we have been ranked as the 2nd emerging B-School in India. What’s unique about WLCI is the traineeship component which is inclusive of the curriculum. Due to the “earn while you learn” agenda, top multinationals demand the students of WLCI. This is so because they value the efficiency and competence level of these students. Over the past 2 decades, WLCI has managed to train more than 10,000 professionals for the Business, Fashion, Advertising and Graphic Design industry. We have found that, the students who are employed as trainees are usually absorbed by the company. The student’s have the opportunity to sit for multiple interviews with a variety of companies. Assistance and guidance for the interview is constantly provided by the WLCI Faculty. WLCI gets you industry ready by divulging your minds to professional life situations. WLC College India’s Placement record is at its full potential. We encourage the students to adapt to the scenarios of the industry and understand the difficulties. By doing this at a learning age, we are not only making them well-informed but also making them inherent these skills in their day – to – day activities. 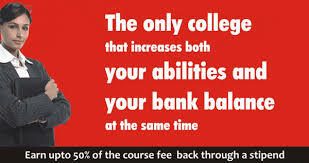 WLC College India believes that one cannot put a price on quality education. However, resources in the world today come at a cost. The fee structure at WLCI is economical and with the traineeship programme, easily recoverable. The students at WLC College have the opportunity to work alongside their course. 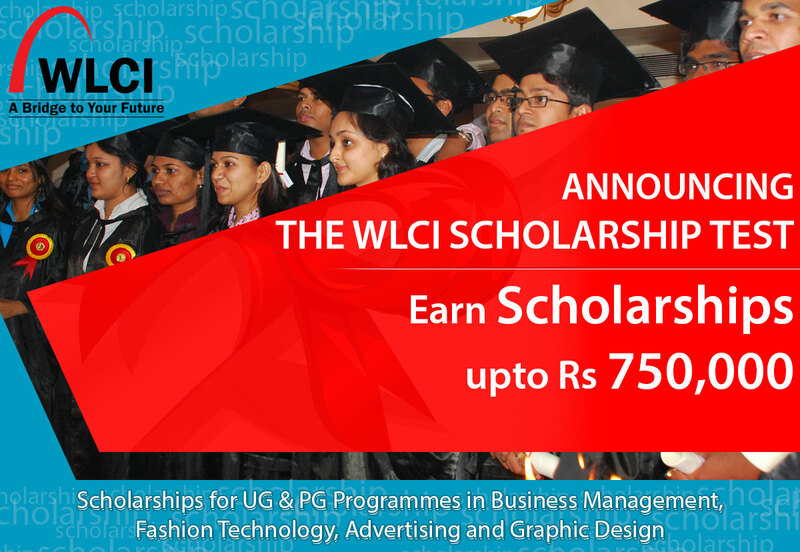 Thus, providing them the ability to earn upto 50% of their course fee throughout the duration of their course at WLCI. Stage I – Online Objective Type Aptitude Test : Click to Start the Process Now ! This test helps commendable students attain high standard and quality education at WLCI College across any of the verticals, i.e. , Business Management, Fashion Technology, Advertising and Graphic Design (Visual Communication). The test is created to test your knowledge base for the course desired. At WLC College India, your skill set would be sharpened and you would be trained to understand industry demanded techniques. Along with the scholarship opportunity, you shall also be exposed to the industry, in the field of your choice from the start of your course. The last date has been extended, so feel free to apply !